Ever since Apple launched its truly wireless AirPods, there’s been no shortage of competition, with many models eclipsing Apple’s features — even with the launch of the newly updated AirPods. But so far, no major brand has had the audacity to create a product that mimics the AirPods’ signature elongated design — until today, that is. 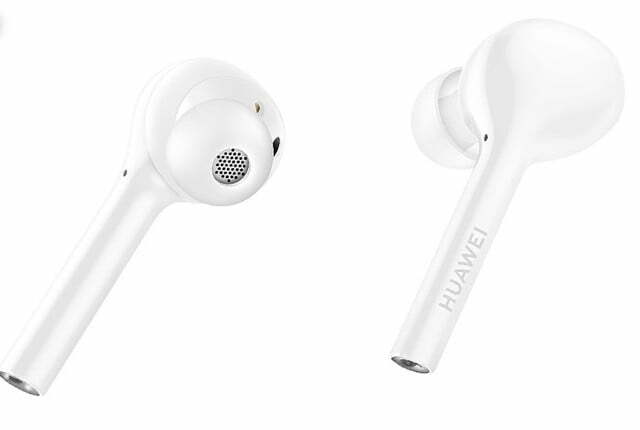 Huawei’s just-announced FreeBuds (118 euros, or $132 USD) are the spitting image of Apple’s wireless earbuds, and they sport a very similar feature set. The real disappointment here is battery life. 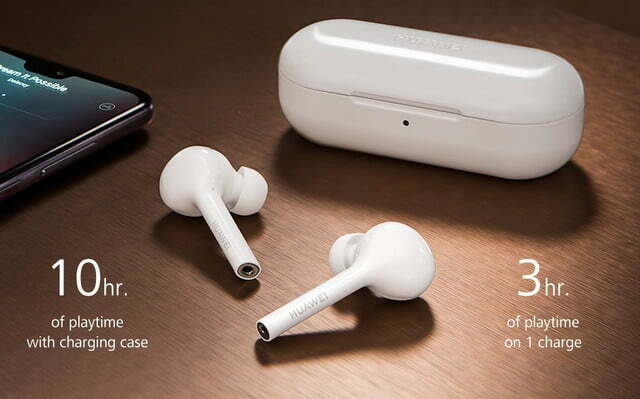 Huawei claims only a paltry 3 hours of playing time on a single charge, and 10 hours from the charger, which is among the shortest durations we’ve seen from truly wireless earbuds. For comparison, Apple’s latest version of the AirPods last 5 hours per charge, and we were pretty disappointed about that too. Strangely, the charging case appears to be capable of wireless charging, but Huawei’s product page doesn’t specify this, so we’re not sure. Amazon’s Italian website lists a Qi charging mat as a suggested accessory, so maybe that’s the answer. 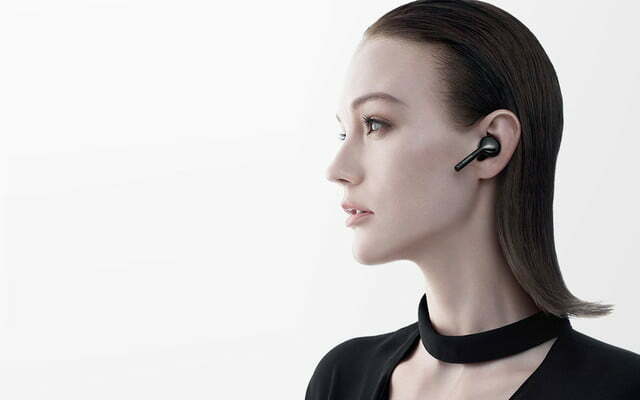 Huawei also announced an around-the-neck set of wireless earbuds, called FreeLace (99 euros, or $111 USD). 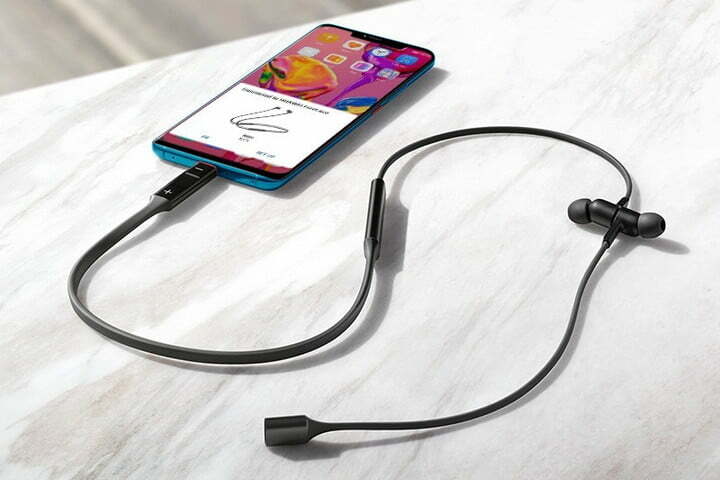 Available in four different colors, the FreeLace is only noteworthy for its unusual Bluetooth pairing process: Detaching the cable from one of the earbuds reveals a USB-C tip, which you then plug into your Huawei phone. Thus commences the company’s automatic pairing process it calls HiPair. You charge the FreeLace via the same connection, both from a standard USB adapter, as well as via a Huawei phone if it’s compatible with reverse-charging. When the earpieces are magnetically attached, the FreeLace goes into power-saving mode. There’s no word yet on whether either of these Huawei earbuds will make their way stateside, or how much they’ll cost if they do.